Probably my favorite of the Rat Pack, although it’s a close call between Dino and Sammy Davis. My 2018 Inktober project is all about musicians that I love and that have been influential at some point in my life. Years ago I performed in a swing duo – just me singing with piano accompaniment. Those live shows were my first vocal performances without an instrument to hide behind. 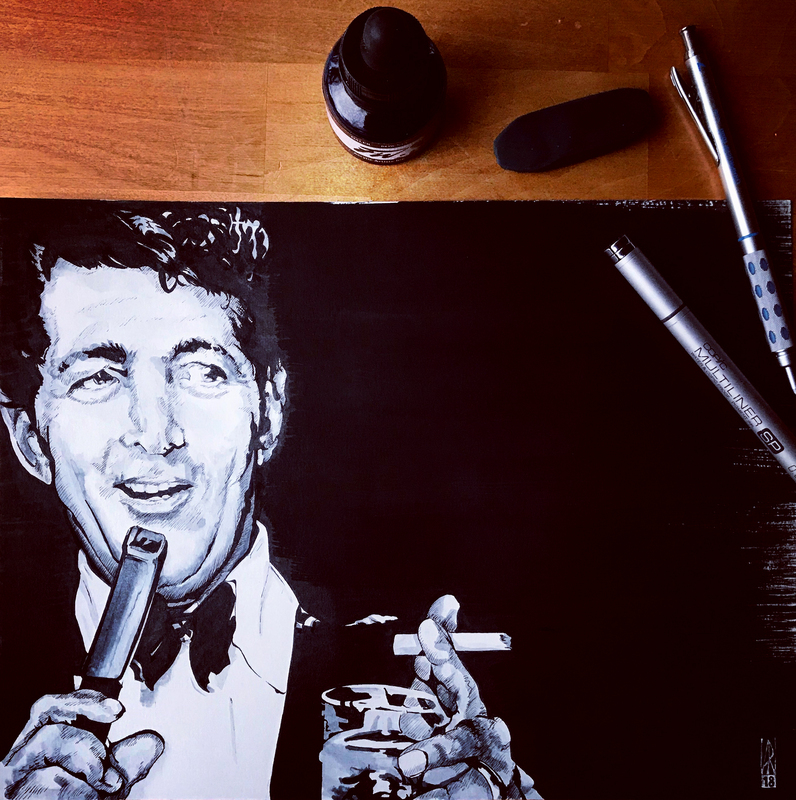 I loved the material and several songs were Dean Martin arrangements. What a performer!